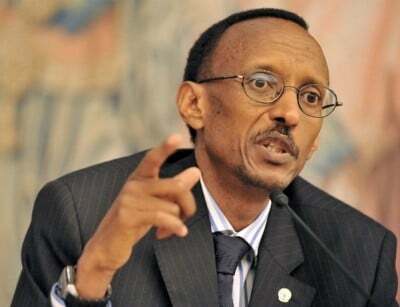 Several brave souls have actually declared their intention to run against Rwandan President, aka Dictator, Paul Kagame in this year’s election, even though two of the country’s three viable candidates landed in prison last time and a third fled the country after his party’s vice president was found by a riverbank with his head cut off. This week the Rwandan government announced that all presidential candidates’ social media messages—text, photos, and video—must be approved by the national electoral commission. Since the Rwandan government has long since assassinated or frightened any real journalists out of the country, this will severely hinder candidates’ efforts to get their message out, even to the tiny percentage of the population who have both cell phones and electricity in their homes and the larger percentage who have cell phones but have to leave their homes—often walking miles—to charge them. Or to those of us outside Rwanda who might be trying to follow this year’s election. A great deal, no doubt, but one word Kagame most certainly does not want broadcast or even tweeted to the world outside is “famine.” That word might embarrass both him and his powerful friends Bill Clinton, Tony Blair, Howard Buffett, and Reverend Rick Warren, all longtime champions of his so-called economic miracle. 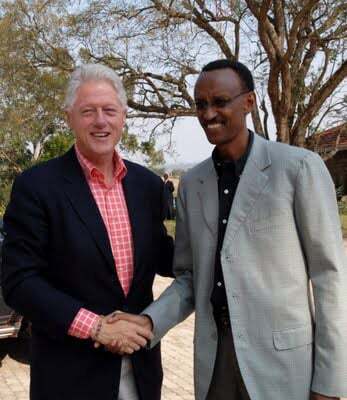 Bill Clinton and Howard Buffett aren’t likely to be pleased by reports that their agricultural aid to Rwanda is helping starve rather than uplift Rwandans, so would they want Rwandan presidential candidates to have the freedom to tweet “Rwandan famine” or related images? And damn if there isn’t another problem here. This Hunter-Clinton Foundation agro-processing partnership—Mount Meru Soyco LTD—in the now famine stricken district of Kayonza—appears to have been a source of “reputational” anxiety for Clinton Foundation staff and for John Podesta. Podesta is of course former Chief of Staff to President Bill Clinton; former CEO, now Chair and Counsel for the Center for American Progress; former Counselor to Barack Obama; former Chair of the Obama-Biden Transition Team; co-owner of the Podesta Group, a major lobbying firm; and perhaps most infamously, campaign manager for Hillary Clinton’s ill-fated 2016 presidential run. Tom Hunter sent an email to WJC [William Jefferson Clinton] recently saying he hoped to be in a position to re-engage thru CHDI [Clinton Hunter Development Initiative] in Rwanda in the not too distant future. Announcing that our job in Rwanda is done and we are withdrawing would end that possibility. Ewan Hunter sits on the Board of both Soyco and Rwanda Coffee. To the extent that he is identified with CHDI and not the Hunter Foundation, the reputational issues, at least as far as the public is concerned, would still exist even after our “announcement.” The government would understand the distinction, however. Fast forward to 2017, and Rwanda’s Eastern Province’s Kayonza District—home of agro-processing facility Mount Meru Soyco LTD— faces famine and mass migration north to Uganda, which already hosts millions of refugees moving south to escape war and famine in South Sudan. At the same time Rwandan President Paul Kagame continues to take one star turn after another on the world stage. He is Israel’s African darling and he has just accepted the Dr. Miriam and Sheldon Adelson Award for Outstanding Friendship with the Jewish People at the Champions of Jewish Values Gala in NYC. He is fêted by elite American universities and business schools including Yale, Harvard, Stanford and the Wharton School, who present him as a transformative leader and echo Bill Clinton’s rhapsodic claim that “the economic and social gains in Rwanda have been nothing short of astonishing under Kagame.” The Rwandan president even co-chairs the UN Millenium Development Goals Advocacy Group with Norwegian Prime Minister Erna Solberg. Yet despite all this international star power, Kagame so fears even the tweets of domestic rivals that he commands his electoral commission to censor them. “Rwanda Genocide” is one term that will not make it past his censors; “Genocide against the Tutsi” is the legally codified and enforced description of Rwanda’s 1994 tragedy inside Rwanda. Another word that his rivals won’t be allowed to tweet is “famine,” even as a quarter of his people face desperate hunger.